New York 63 east at New York 15 & 21 - Wayland. 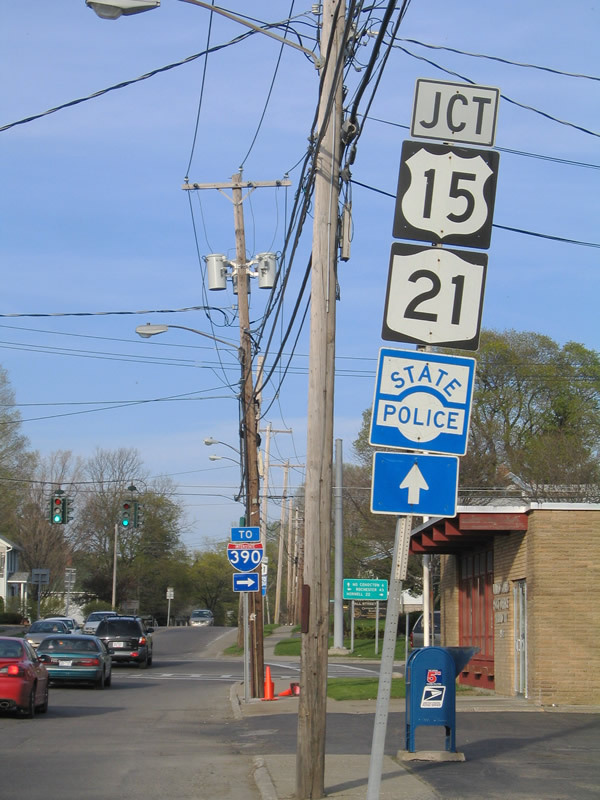 New York 15 references its former life as U.S. 15. Photo by Alex Nitzman, 5/9/2005.